Alessio Siniscalchi for B-Open Solutions co-autored the report 238/216 published by ISPRA about the SMA system. 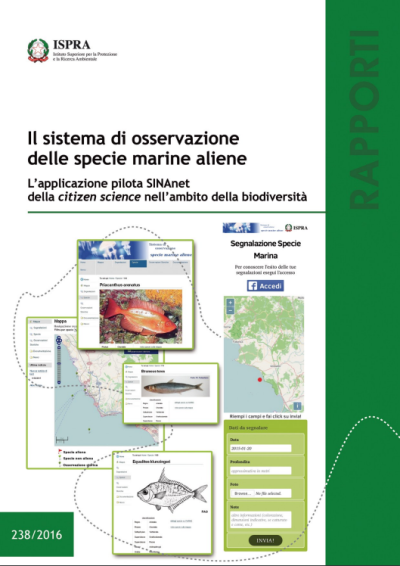 Alessio Siniscalchi from B-Open Solutions co-autored the report “Il sistema di osservazione delle specie marine aliene” published by ISPRA (Istituto Superiore per la Protezione e la Ricerca Ambientale). The aforementioned report is about SMA, the information system for Marine Alien Species. The system was designed and developed as a I&CT tool for managing reports from citizen (mainly fishermen) on sighting of supposed marine aliens. Besides an APP developed for mobiles, SMA system features a workflow for validation by experts of information collected. At the end of validation steps, information related to sighting, and studies carried on them by experts, can be made publicly available on a web site and through standard OGC data services.